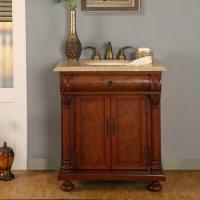 A flowing scroll work design along the top and carvings within the base of this single sink vanity make nice touches to add to the bathroom décor. 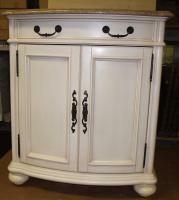 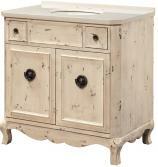 The cream color of the wood finish is accented with the antique brass hardware pulls that also have an elegant design. 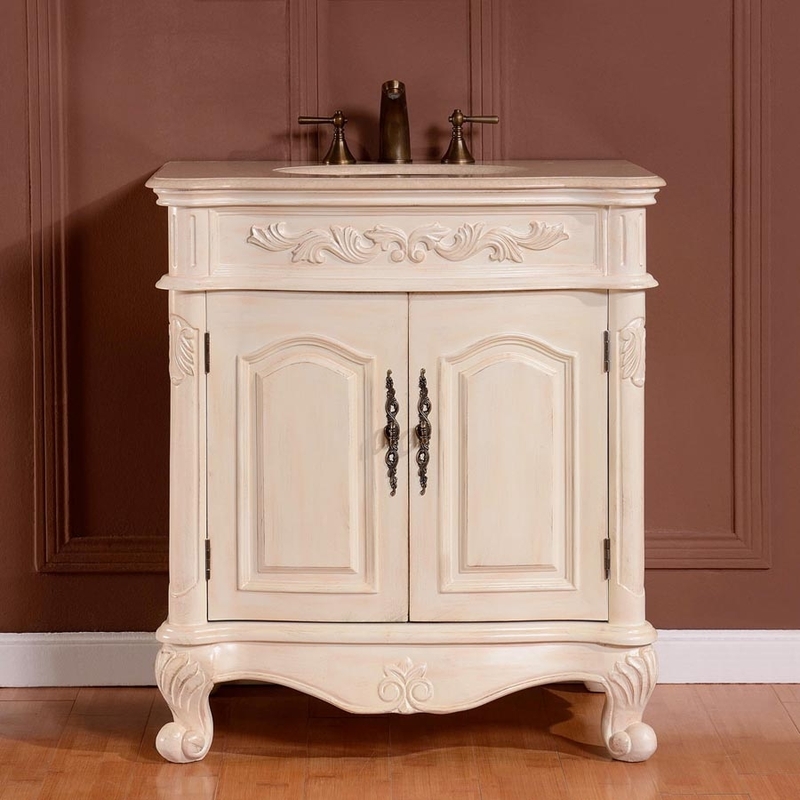 This piece brings so much to the look of the room and it will also bring great functionality with the double door cabinet that has an interior shelf. At the small end of the scale for bathroom vanities, this piece would make an excellent choice for a powder room.